Equine properties can be among the hardest to appraise due to the time between sales and variances of size and amenities of each property. Typically, a comparable sale should be within the past 12 months, but the appraisal will also rely on the quality/condition and other items on the property. Items Considered Items taken into account on an equine (horse) property include the home, home amenities such as a pool, horse property specific amenities like stables, arenas, and the land including the functionality of it (does it flood, have the right soil etc.) Because of the extensive nature of many of these properties, the appraisal timeline may be longer than a normal home appraisal. Other Factors There are four major factors to consider for an equine property appraisal. They are location, lot size, property amenities, and home/residences. Location is a largely overlooked but very important thing to consider. Proximity to veterinary centers, markets, training spaces, or even event centers can all impact the appraisal. 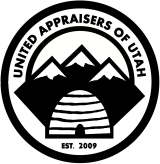 Whereas a larger lot may be nice, a strategically placed one will often gain an appraisal advantage. However, size should not be discounted. It can make finding comparable sales difficult, but the size of a lot greatly entails its functionality. The size of a lot also includes the condition, the type of soil, and its likeliness to flood. Size and number of amenities can be helpful to the overall property, yet it is unlikely that an appraiser will ever find two properties with similar amenities. That is when an appraiser will determine value attribution. Keep in mind, cost does not equal value – a $30,000 stable may not equal $30,000 exactly when it comes to the appraisal valuation amount. There is also something to be said about differences. A 4 stall barn and a 10 stall barn will not appraise equally even if the lot sizes or amenities are the same. Residences often vary the most from property to property. An appraiser is likely to see anything from large custom homes to smaller outdated homes, manufactured homes, and even barn homes (barns with living spaces in or attached.) Not every lender will support each type of residence so it is important to read through appraisal and lender documents carefully. To get your knowledgeable and skilled equine appraiser, please contact us to schedule an appointment.